While the Decemberists have been riding the folk-rock-revival wave for the better part of a decade, after seventeen years and seven full-lengths under their collective belts, the indie-rock collective has decided to step outside of their ‘comfort zone’ on their latest release, I’ll Be Your Girl. Citing early glam, and the likes of Roxy Music as reference points, the band decided to make a conscious effort this time around to “make unfamiliar choices” when it came to the writing and recording process. While the strummy-strum intro of the album-opening “Once In My Life” finds singer/songwriter Colin Meloy mining somewhat familiar territory (with the constant refrain of “I’ve been waiting all my life” feeling like a subtle nod towards what’s to come), it’s with the album’s next two tracks, the percussive “Cutting Stone” and the synth-laden first single “Severed”, that the full scope of the band’s new-found direction begins to come into focus. The stadium-stomp-romp of tracks like “Starwatcher” and “Your Ghost” continue to drive this point home. But while the first half of the record features a handful of stylistic left-turns, much of I’ll Be Your Girl still falls squarely inside the wheelhouse of what the Decemberists’ do best; timeless, character-driven storytelling married with sweeping, dramatic arrangements. When you take away the amped-up guitars on tracks like “Everything Is Awful”, and “We All Die Young” (perhaps the record’s only truly forgettable number), you essentially wind up with songs that probably wouldn't sound out of place on any of the band’s records. And then there’s the album’s climax, the eight-minute epic “Rusalka, Rusalka - The Wild Rushes”, which is not only a clear highlight of the record, but can also easily be held up against the band’s best work. While much of I’ll Be Your Girl will undoubtedly strike a divisive chord with the band’s audience, this song has that ‘worth-the-price-of-admission’ quality that should help alleviate the trepidations of even the most skeptical of fans. The process of reinvention can often be a double-edged sword when it comes to music. But despite the mixture of grassroots growth and crossover success the Decemberists have enjoyed over the course of their career, it’s hard to blame anyone for wanting to move past the confines of a genre so steeped in simplicity and tradition. While it remains to be seen whether or not the album marks the beginning of a new direction, or is merely an aesthetically-driven detour, at the very least, there's a little of something for everyone on I’ll Be Your Girl. 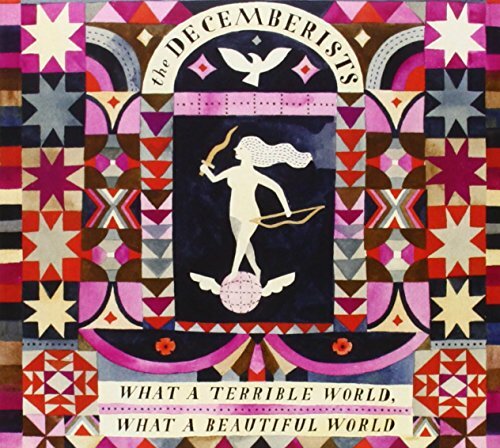 And while long-time fans will undoubtedly debate the results for years to come, the Decemberists should be commended for their honest attempt to make album number eight sound like album number one.